Tony winner and late-night king James Corden did a fabulous job hosting the 2016 Tony Awards—so fabulous, it seems, that fellow Tony winner and four-time Tony host Neil Patrick Harris felt he had to defend his honor months later. Harris, who stars in Lemony Snicket’s A Series of Unfortunate Events on Netflix beginning on January 13, stopped by The Late Late Show with James Corden on January 9 to challenge Corden to a Broadway riff-off. 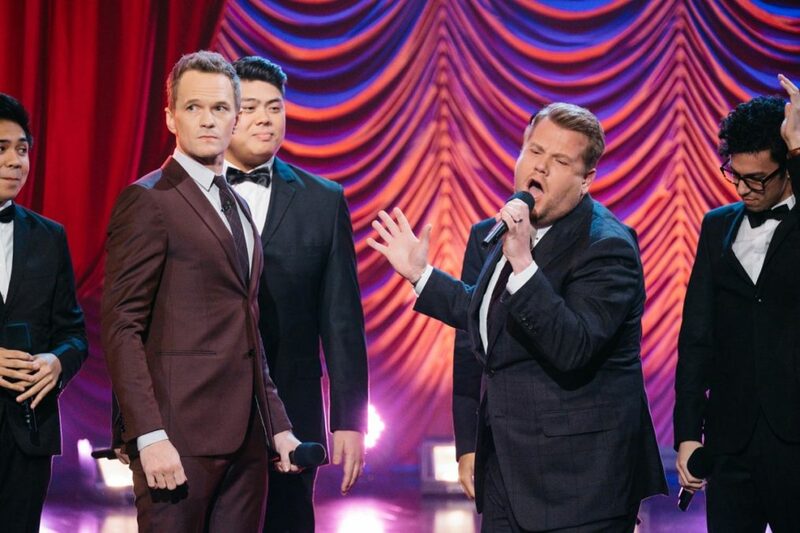 Songs from Guys and Dolls, Chicago, Gypsy and Les Miz were just a few of the selections Harris and Corden performed. Of course, the battle ended with Hamilton's "My Shot." Who won the riff-off? You'll just have to watch and see!